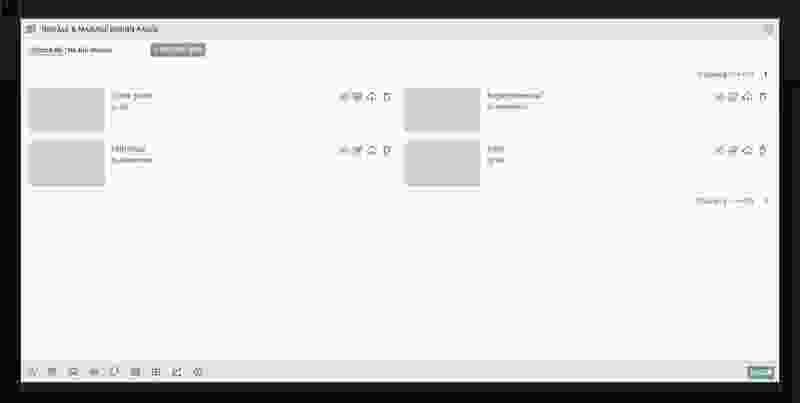 A design pack contains folders, selectors, hand-coded CSS, and background images that someone previously created using Microthemer. Popular design packs include styles for re-skinning themes and and plugin content like contact forms (e.g. Contact Form 7). You can find design packs from themeover.com (or you can start building your own archive of design packs by using the Export feature). Download a design pack from themeover.com. Login to your WordPress Site and go to the Microthemer interface. Hover your mouse over the Packs menu at the top right and then click the Install and Manage Design Packs icon. 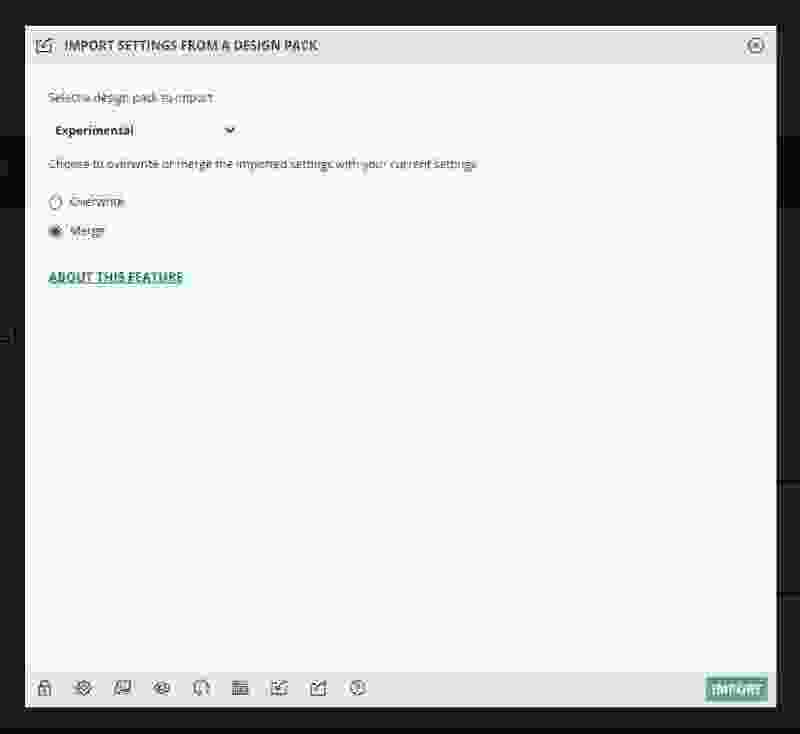 Choose the design pack zip file on your computer and then click the + upload new button. 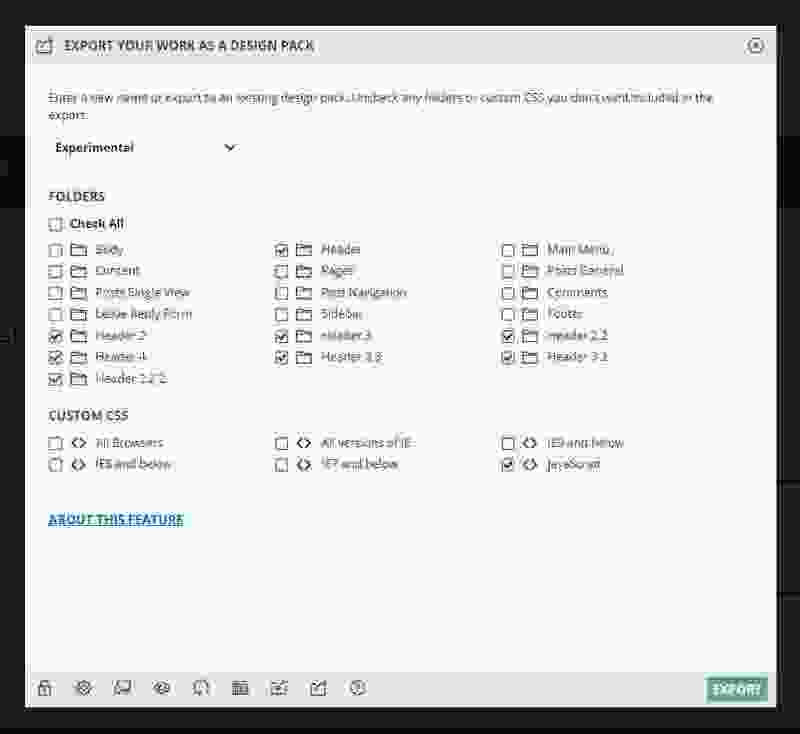 Once your design pack is installed you can import it into your workspace using the Import option from the Packs’ menu at the top right (also note the link to the import page that appears in the success notification after you install a new design pack). Choose one of the design packs from the drop down menu (or start typing to filter the list). Select either the Overwrite or Merge option. ‘Overwrite’ will replace all the styles you’ve previously applied (including any custom CSS code via the code editor). ‘Merge’ will append folders, selectors, and custom code in the design pack to your existing settings non-destructively. The design pack settings will be imported and you should see any style changes appear immediately. NOTE: Design packs only contain alternative CSS styles for changing the appearance of a theme or a plugin. You will still need to obtain the to-be-styled theme or plugin from the author. Hover your mouse over the Packs menu at the top right and then click the Export option. Give your export a new name in the field provided or select an existing export to update. The folders which contain selectors will be checked by default. You can choose to only export a subset of folders at this stage if you wish. Once Microthemer has finished exporting your settings, the Manage Packs dialog will display. Click the Download cloud icon to the right of the pack info box to download the design pack to your computer as a zip file. If you would like to import your design pack on a different domain, please follow the install and import instructions above.